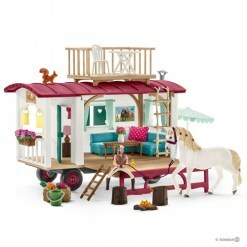 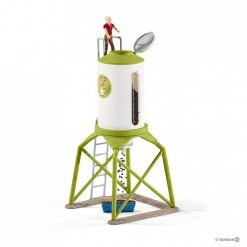 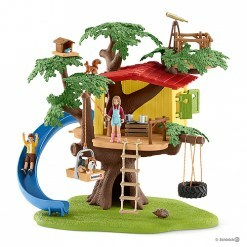 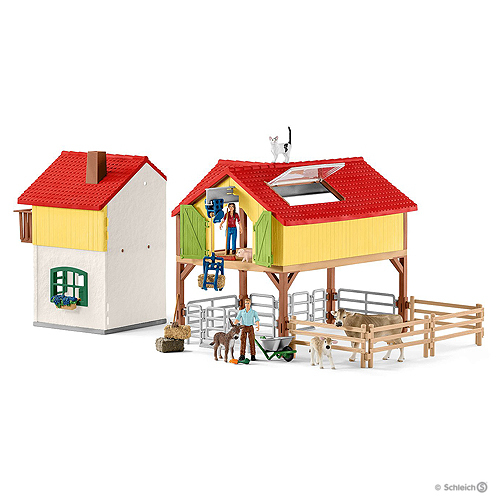 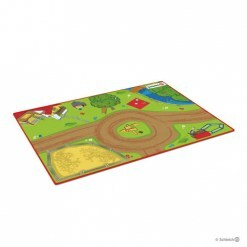 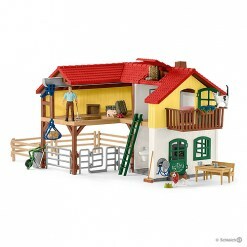 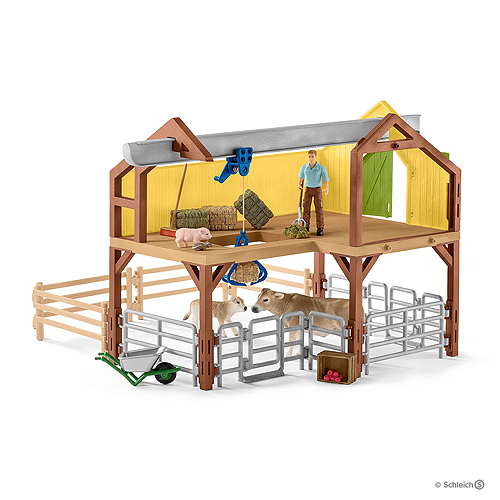 The large farm set from Schleich® is the centre of the farm world. Comes with 2 human figurines, 7 animals and great accessories for hours of fun. 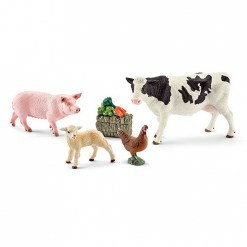 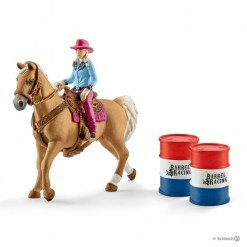 The large farm from Schleich® is the centrepiece of the Schleich FARM WORLD. 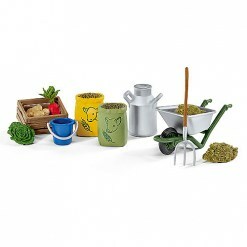 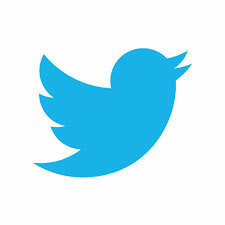 It includes a whole host of accessories and functions for hours of fun. 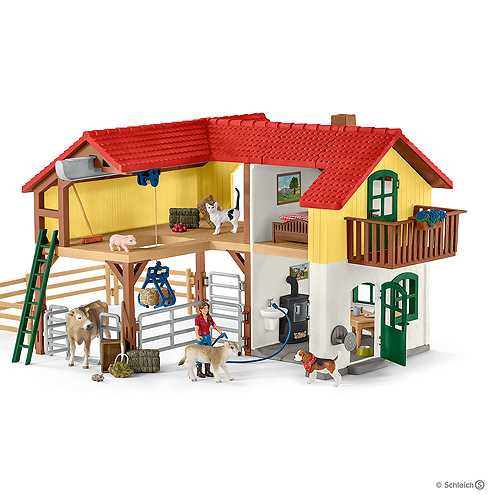 Next to the living area with kitchen, dining area and bedroom, there is the stable, which provides plenty of space for the animals. 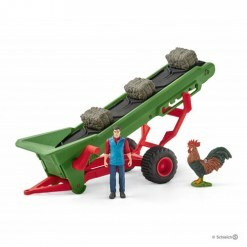 The hay can easily be transported to the loft for storage with the winch. 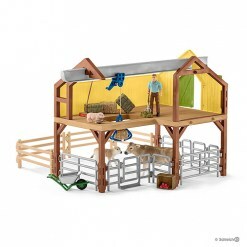 The hay can then be moved from there through the hatch to the animals. 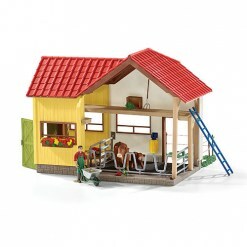 The stable area with fences and paddocks has a modular design and can be assembled as you wish. 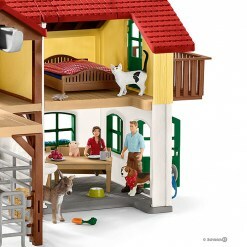 With 2 human figurines, 7 animals and great accessories. The Schleich® figurines are exceptionally detailed, lovingly painted and allow children to play and learn at the same time. 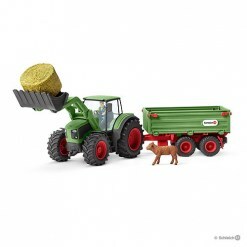 Compatible with the hay conveyor (42377) and tractor (42379), which are available separately.